Just announced – Amy McConnell and William Sperandei receive a 2014 Juno Award nomination in the Vocal Jazz Album of the Year category for their debut album“Stealing Genuis”. They are extremely excited to be recognized for this album and are looking forward to being a part of this year’s Juno Awards ceremony at the MTS Centre in Winnipeg, MB. Last year was a big year for McConnell and Sperandei. The pair reached the top of the Jazz charts across Canada, as well as received rave reviews in the Toronto Star, The Globe & Mail and The Whole Note (to name a few). To top it off, some even predicted this nomination! “The trumpet work by Mr. Sperandei is exquisite. The album has no limits and the unifying thread is the artists themselves. It features songs that the duo love that include Edith Piaf, Led Zeppelin, Elvis, some 1950s R&B, the Beatles, as well as some 1930s and 1940s songs that are more traditionally jazz. When working on the album, the concept was simple. Choose the best songs. Then, SERVE THE SONG. Before they interpreted a song, they asked themselves what it’s about, what’s the best way to express it? Is there something there that hasn’t been brought out before? They never changed a tempo or arrangement just to be cool and different. It had to work with what the song is about. Amy brings melody & lyrics and William provides harmony and improvisation and it’s all set to Mark Kieswetter’s inspired jazz arrangements. Old fashioned idea, but it works. Both artists are available for interviews. For its jaw-dropping chutzpah Stealing Genius deserves a Juno. The nerviness begins with the Oscar Wilde aphorism used for its title. It continues as singer McConnell, who sings in French and English, and trumpeter Sperandei take on the A-list of musical egos: Elvis Presley (“Suspicious Minds”), Edith Piaf (“La Vie en Rose”) and Robert Plant and Jimmy Page (“Thank You”). The pluckiness hits warp drive, though, when the pair bring an upstart brashness to “From Russia With Love” that’s entirely absent in Matt Monro’s original crooning of the Bond flick’s theme. There are moments in this 13-song offering that leave you a little shaken, mostly when McConnell hits high notes; other moment can stir you, however. In “Soon It’s Gonna Rain” fromThe Fantasticks, she’s cool, calm, breathy and collected. Sperandei’s playing is lush and well-matched to McConnell voice. Pianist Mark Kieswetter’s arrangements are intuitively right and Douglas Romanow’s production brings a big-money feel. Jazz singer Amy McConnell and trumpet player William Sperandei have followed up their JUNO nominated debut album Stealing Genius with an even more arresting offering, Accomplice. The album is available for pre-order now on iTunes, with four instant grat tracks for immediate download. The full album will be released on September 30th. Accomplice sees the pair taking on repertoire from composers of the 60s and 70s like Legrand, Brel, Loewe & Mancini. McConnell and Sperandei push the stylistic boundaries of jazz by taking these much loved, complex melodies and putting them in a fresh context influenced by the sound of vintage French pop and electronica. Their groovy takes on favourites like L-O-V-E, Where Do I Begin? and Wild Is Love embrace non-traditional jazz rhythms and instrumentation to dramatic and compelling effect. The CD Release will be at the Jazz Bistro in Toronto on Oct 7 & 8. Join Amy McConnell & William Sperandei, along with pianist David Restivo and bass player Ross MacIntyre, for an evening of passionate jazz repertoire. There will be some Legrand, some Gershwin, some Cole Porter, some Bacharach and naturally some Edith Piaf. Bloom Restaurant serves deliciously unique Nuevo Latino Cuisine steeped in the rich culinary traditions of Latin America & Spain, re-interpreted by executive Cuban Chef Pedro Quintanilla. $45 including prix fixe menu. Roaring Girl Records is so proud to present three outstanding musicians in a showcase in conjunction with the TD Jazz Festival. Tia Brazda, Declan O’Donovan and Amy McConnell are unique and talented singers with diverse styles and approaches but all with the same respect for the music of the past and a desire to explore new sonic territory. From Tia Brazda’s sultry songwriting to Declan O’Donovan’s roof-raising rootsy style to Amy McConnell’s velvety vocals, this showcase is not to be missed. Tia Brazda’s debut EP, “Cabin Fever” burst into the scene in February 2012, hitting #1 on the iTunes Canada Jazz Chart, as well as receiving play on CBC Radio 1, Jazz 91.1 and college radio stations across Canada. Having honed her cutting-edge sound in the clubs of Toronto, Tia’s sassy songs and pin-up girl style have made a startling impression. Her music pays homage to the Golden Era, while still remaining daringly modern. Declan O’Donovan is a singer, songwriter and pianist from Whitehorse, Yukon. His music is influenced by the sounds of Americana, blues, folk and roots, finding inspiration from artists such as Bob Dylan and Randy Newman. Informed by adept piano playing, an evocative voice, and skillful songwriting, O’Donovan’s music is at times dark, consistently poignant, and often underscored with twists of wicked humour. Amy McConnell has been performing from the age of nine months when she appeared in her first television commercial. Amy continued her childhood career as one of the principals on the TfO TV series “Téléfrançais” and also performed in various professional musical theatrical productions. Amy has never been able to resist the siren song of… song and she splits her time between her film production and music careers. “Stealing Genius” is her first album and the reception from the Canadian jazz community has been outstanding. Despite her anglophone name, Amy comes from a francophone background, is fluently bilingual and frequently performs in French. Known for her beautiful voice, impeccable intonation and emotional approach, Amy’s style encompasses jazz, pop and musical theatre. Doors Open at 6:30 p.m. No Reserved Seating. Ticket-holders will be seated on a first come, first seated basis. Join JUNO nominees Amy McConnell & William Sperandei, along with JUNO winning pianist Brian Dickinson and bass player Ross MacIntyre in the Richard Bradshaw Amphitheatre at the Four Seasons Centre for the Performing Arts. Part of the Canadian Opera Company’s Free Concert Series, the hour long concert will feature the witty, elegant lyrics and memorable melodies of one of the Great American Songbook’s most prolific and beloved songwriters, Cole Porter. 145 Queen St West at University. Map & Directions to the Four Seasons Centre. Admission is free, but arrive early to get a seat. Doors open at 5:00PM and seating will be assigned on a first-come, first-served basis. Latecomers will not be admitted. Saturday, November 1st, 2014, from 7:30PM to 10:30PM. Amy McConnell, William Sperandei & Mark Kieswetter play in the intimate setting of the Home Smith Bar. Amy McConnell & William Sperandei will be back at the TD Toronto Jazz Festival. Amy McConnell & Lyne Tremblay sing the songs of Paris. Legrand, Piaf, Baker, Brel, Trenet… with Special Guests Miranda Mulholland on violin and Tom Szczesniak on accordion. 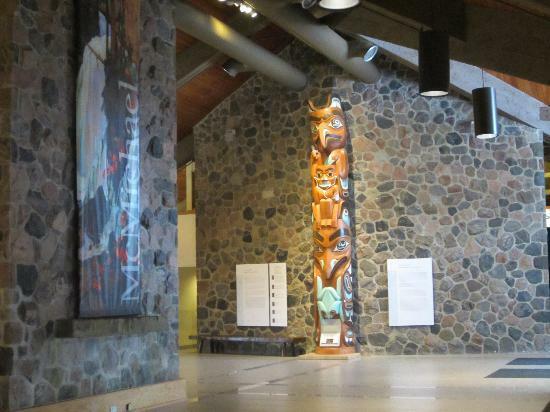 All in the gorgeous setting of the Woodland Gallery at the McMichael in Kleinburg. Part of the McMichael Jazz Concert Series. Preshow talk with Amy, Lyne and JAZZ.FM radio personality Jaymz Bee at 7PM. Show At 8PM.